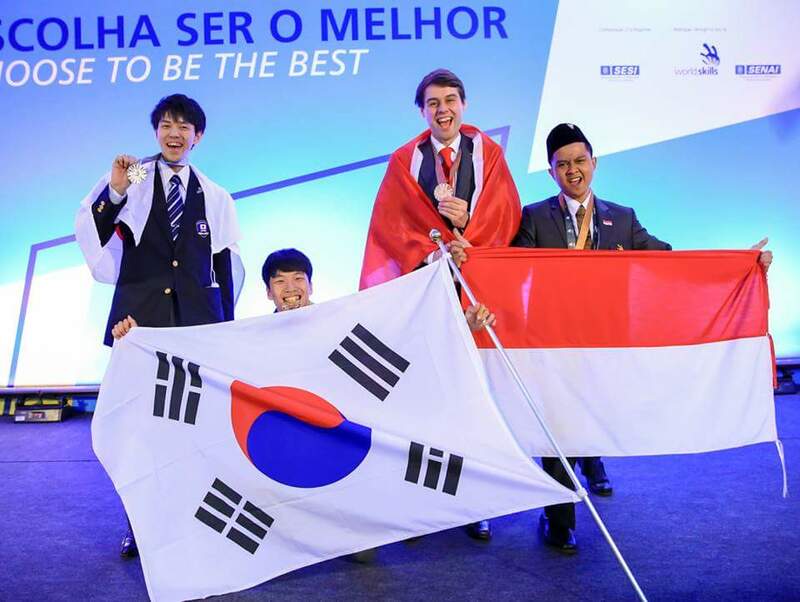 Jakarta – Rifki Yanto, Toyota Motor Manufacturing Indonesia (TMMIN) member won Bronze Medal at the Prototype Modelling in 43rd WorldSkills Competition, São Paolo – Brazil. The competition held on August 11th until August 16th as a part of Indonesian delegation. The other TMMIN member, Hari Sunarto also successfully achieved the Medallion of Excellence at Plastic Die Engineering competition. “We want to say thank-you because we have received the trust and chances to became one of Indonesia representative in WorldSkills Competition. Congratulation to Rifki Yanto and Hari Yunarto who have worked hard in the international level and show that the quality of Human Resources Indonesia is very competitive.” Said TMMIN Vice President Director, Warih Andang Tjahjono. WorldSkills Competition held every two years since 1950 and became the biggest educational and vocational skill competition in the world. The competitors represent the best of their colleagues and chosen from the skills competition at WorldSkills member countries which currently covers more than 50 countries in America, Europe, Asia, South Pacific, and Africa. They were asked to demonstrate the technical capabilities of international standards, both individually and collectively to carry out certain tasks they learn and / or do in their workplace. Prototype Modelling competition is the manufacture of prototypes or models of new products with a chemical base material block, which includes the design, manufacturing, finishing, painting, and assembly. The participants were asked to create a complete prototype model based on 3D data CAD1 (Computer-aided Design) and 2D images by using tools and manual machine (computer program such as CAM2 - Computer-aided Manufacturing or the like is not allowed). For Toyota Indonesia, the opportunity to participated in the WorldSkills Competition is very valuable as it improve motivation, knowledge, skills, and human resource capabilities in manufacturing. In 5 times its participation since 2007, athletes who are also employees TMMIN, took home 2 silver, 1 bronze and 3 medallion of excellence under the guidance of coach who is also the best employees TMMIN, Agung Satriawan. These athletes, such as Khumarudin who won silver in 2007, then became a coach that transmit skills and experiences to TMMIN next athletes. "In TMMIN, transfer continuity of expertise and skills play an important role in the development of global quality human resources. Therefore, we set up and develop a reliable coaches who can release new athletes "said TMMIN Director of Administration, Bob Azam. Toyota, in accordance with the principles of its founder, is committed to continuously grow with the community through the development of products according to customer needs, enhancing the activity of production, export, distribution, and customer service in line with the spirit to contribute significantly in the development of the national automotive industry with the spirit of Toyota Berbagi (Bersama Membangun Indonesia).